A curious fellow with a spring in his step, that's Lewis Rabbit Jitter! Bold and bonny in blue and gold, he's quite a sight to behold! He's on his way to see the Queen, with hearts on his tummy and stripes on his feet. 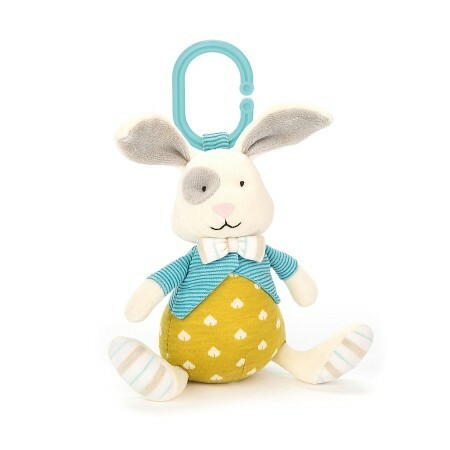 Baby can tug this soft, sweetie bunny to see him jitter and jump about!